After playing a memorable role in Secret Superstar, Zaira Wasim is expected to portray yet another strong role on the big screen, albeit a real one. Recent reports suggest that the actress is supposed to be essaying the role of young motivational speaker Aisha Chaudhary. 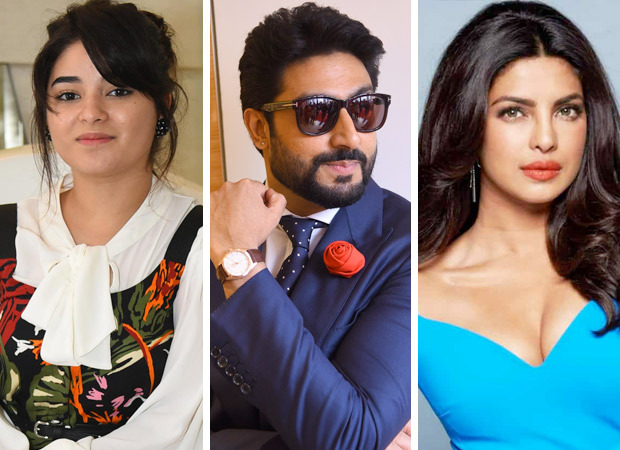 The film, reportedly, directed by Shonali Bose may also star Priyanka Chopra and Abhishek Bachchan as parents. For the uninitiated, Aisha Chaudhary turned motivational speaker at the age of 15. She was detected with an immunity deficiency disorder when she was six months old. And later, she was also diagnosed with pulmonary fibrosis at the age of 13, for which she had to undergo a bone marrow transplant. Despite all the ailments, Aisha was known for her fighting spirit and she even turned author to a book My Little Epiphanies. Aisha Chaudhary, who started motivational speaking during teenage, has given motivational talks during INK conferences and even TEDx Pune in 2013. She succumbed to her ailments in January 2015 at the tender age of 18. Bringing her journey to life, Shonali Bose, who is known for the Kalki Koechlin’s award winning film Margarita With A Straw, is said to have approached Zaira for the film. The teenage actress too is said to have loved the script and given a verbal nod. While modalities are still being worked out, Shonali is supposed to kick off the film by mid-this year in Mumbai. However, an official announcement on the news is yet to be made. It is a known fact that Priyanka Chopra has almost wrapped up the last season of Quantico. The actress will start shooting for the Salman Khan starrer Bharat once she returns. As for Abhishek Bachchan, he is wrapping up Manmarziyaan alongside Taapsee Pannu and Vicky Kaushal.